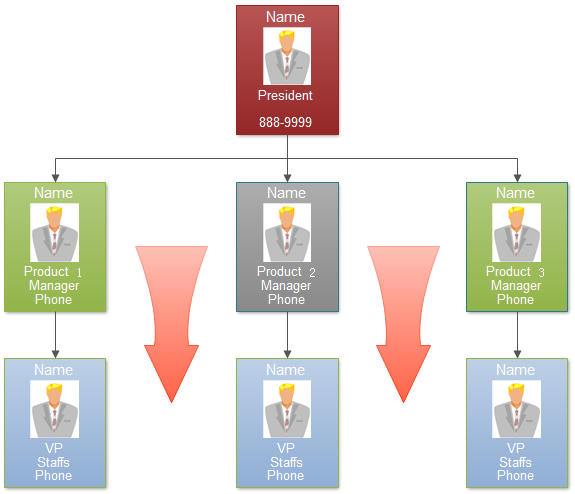 Hierarchical organizational chart can be flat or tall depending the company size. One company can include multiple key hierarchical organizational chart to present the company structures. The hierarchical organizations charts work best in stable environments that do not require rapid change of strategy or in organizations that provide multiple services or products. 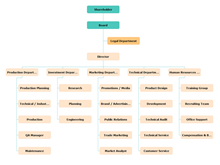 The following company organizational chart uses a product organizational hierarchy structure dividing departments by product line. Companies that use functional organizational structures efficiently group employees by product line. Employees can also specialize in a particular product line. Click here to free download Org Chart Software. Then you can use the built-in template to present your Organizational Charts with ease and effect. Some companies can use the hierarchical organizational chart by dividing the organizational structure from the different geographic locations. 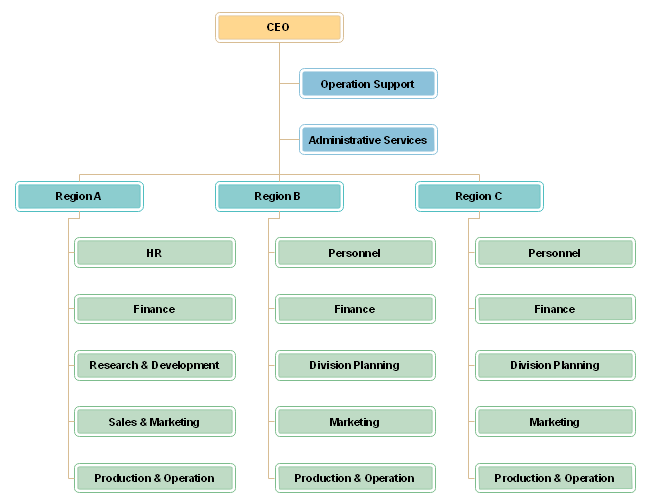 The following geographic hierarchical organizational chart is organized by geographic regions that report to a central oversight person - the CEO. The following organizational chart examples include trading enterprise organizational chart, corporation organization structure, hierarchical organization structure and service organizational chart.